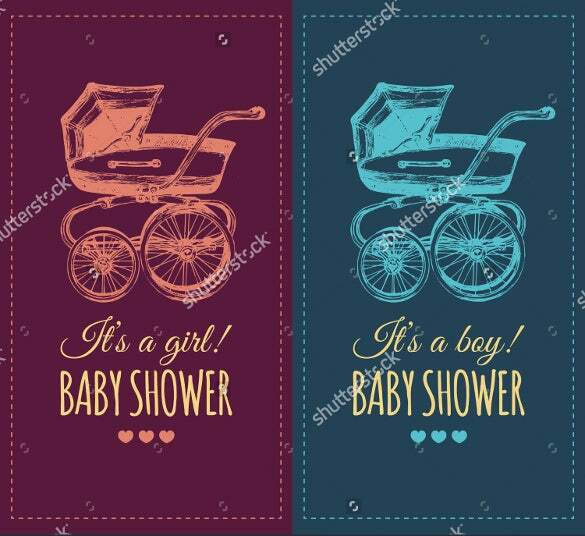 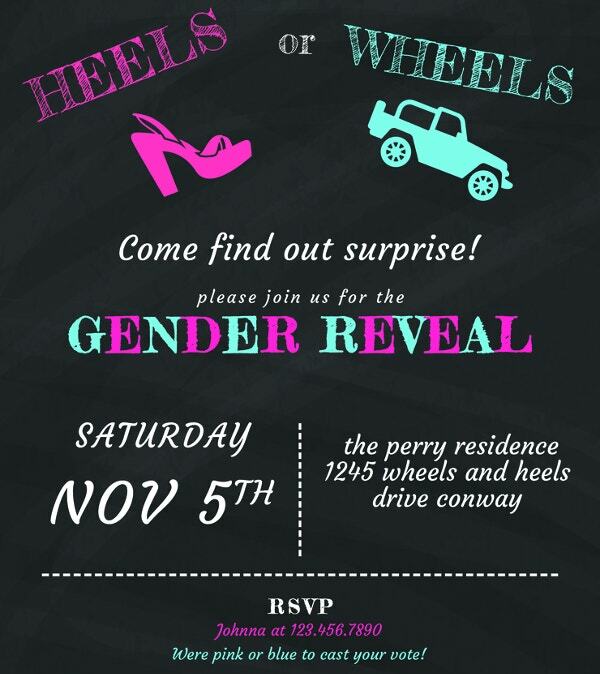 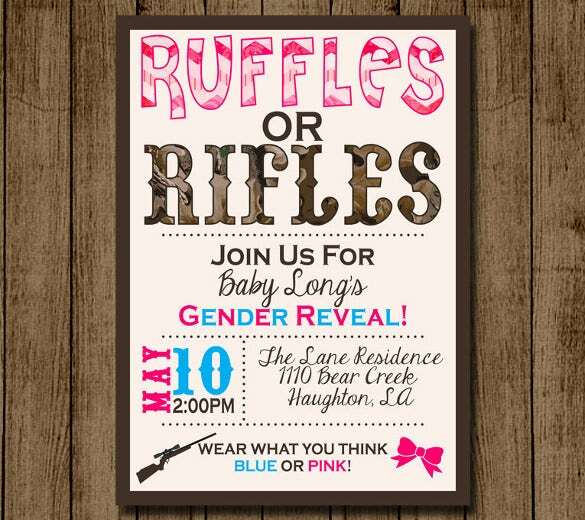 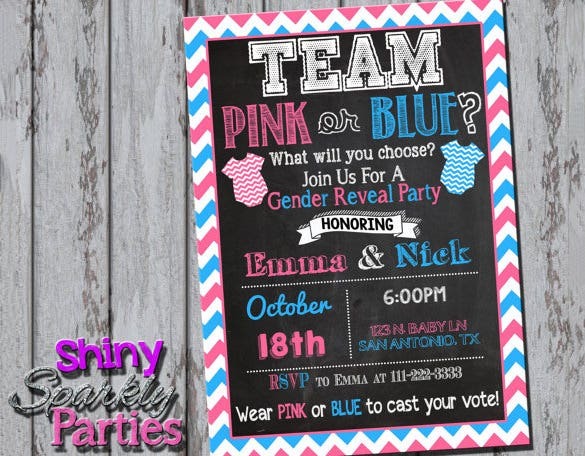 If you’re planning a gender reveal party for your unborn child or even a baby shower for your new born, you probably know that organizing such an event takes a lot of effort and can be very stressful. 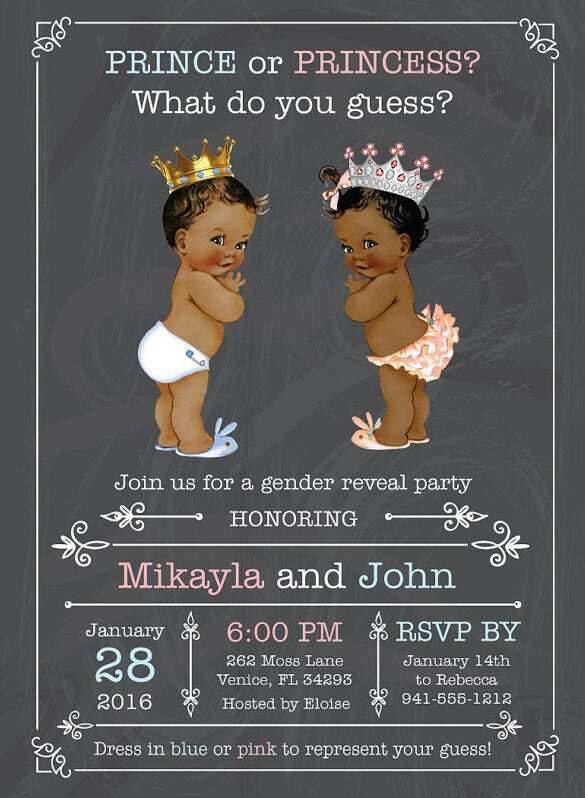 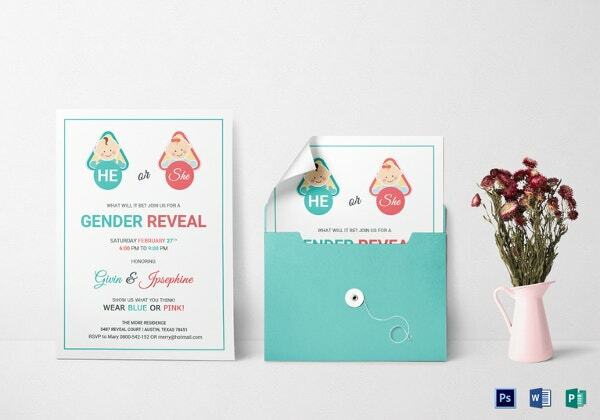 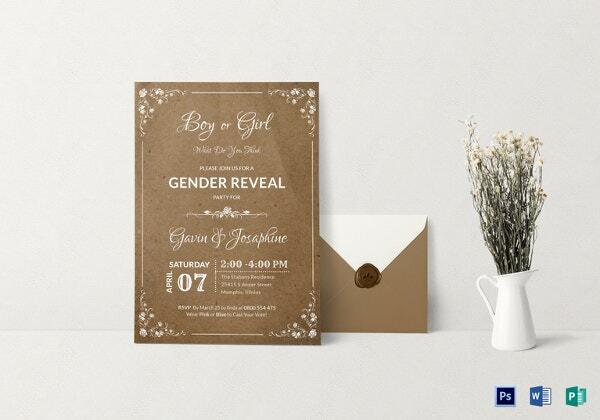 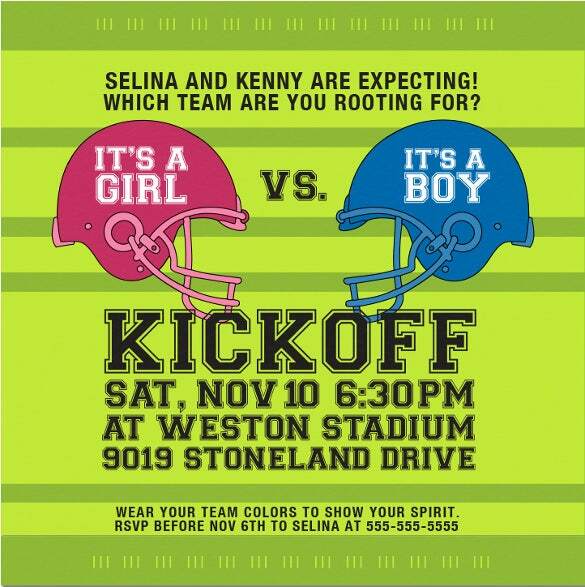 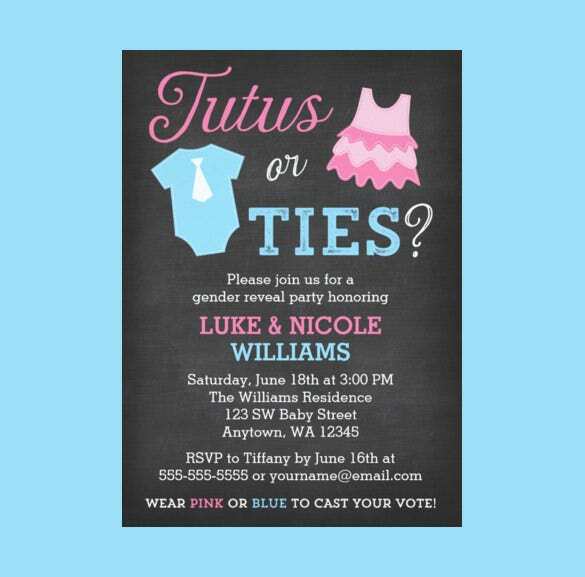 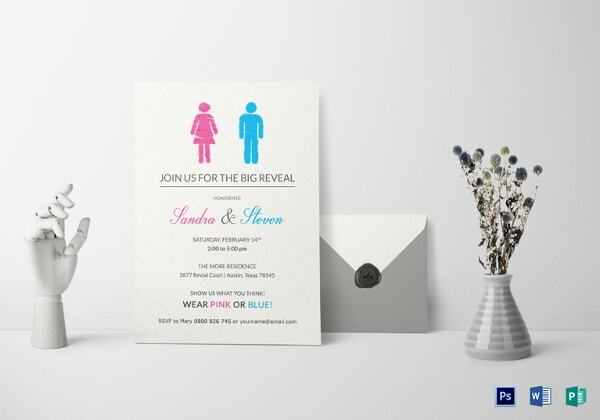 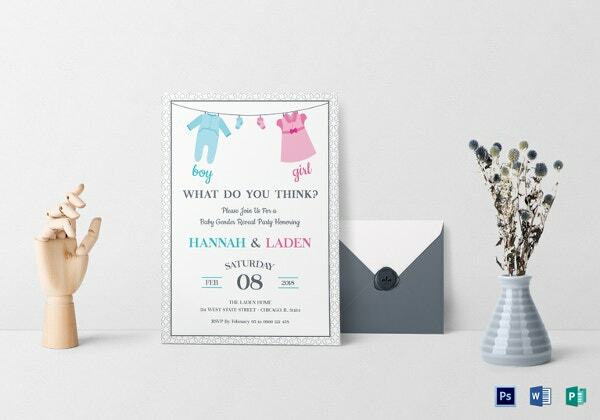 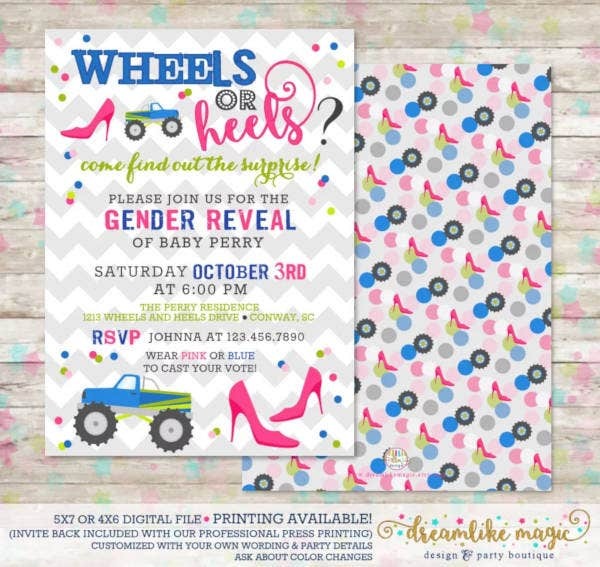 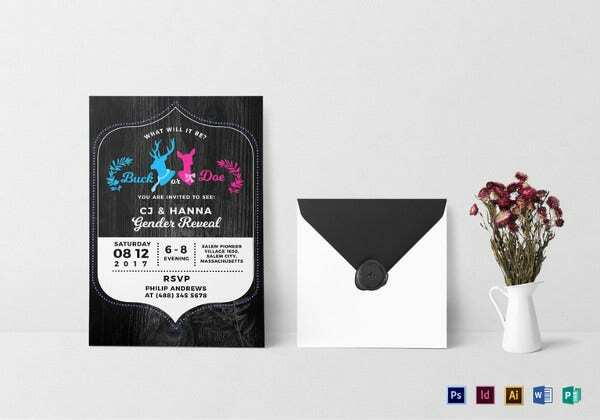 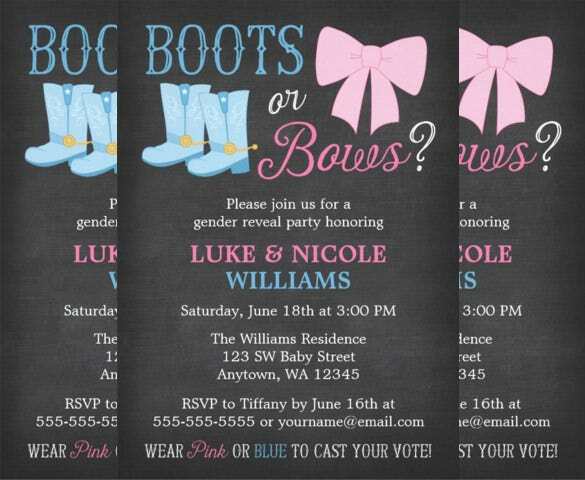 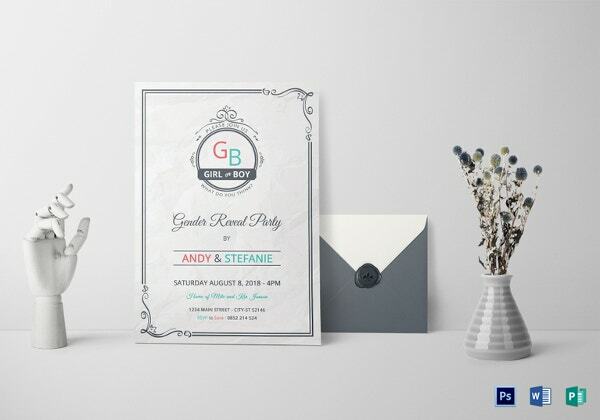 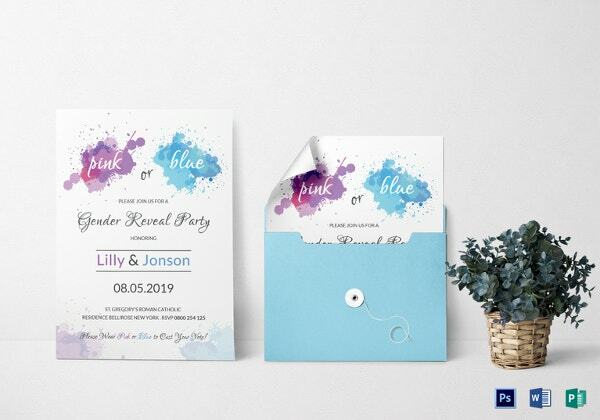 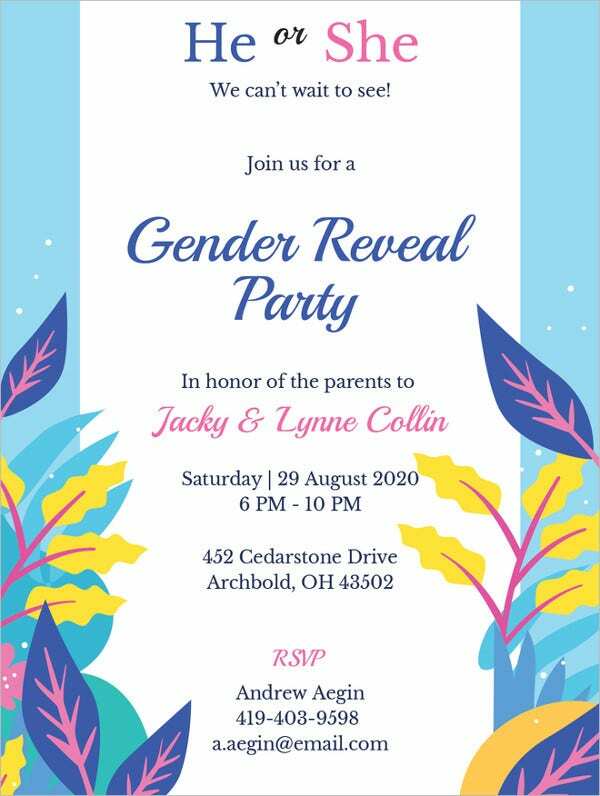 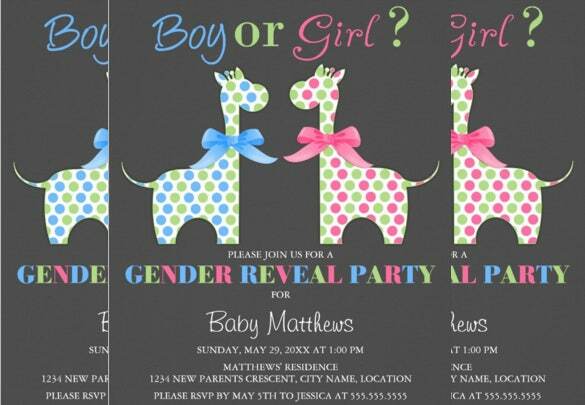 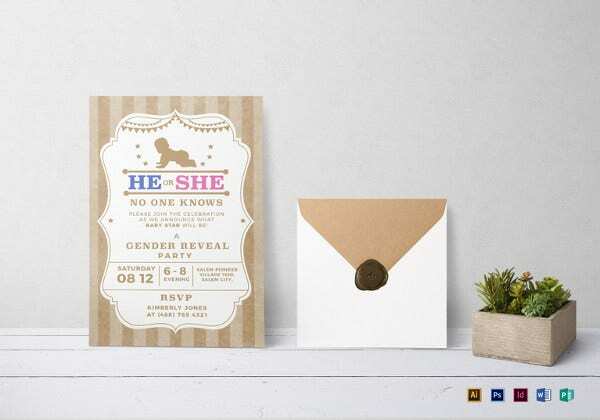 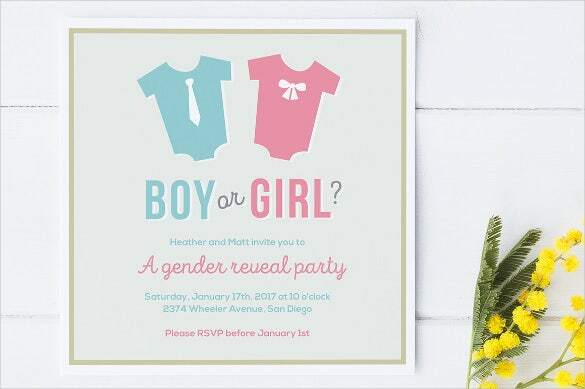 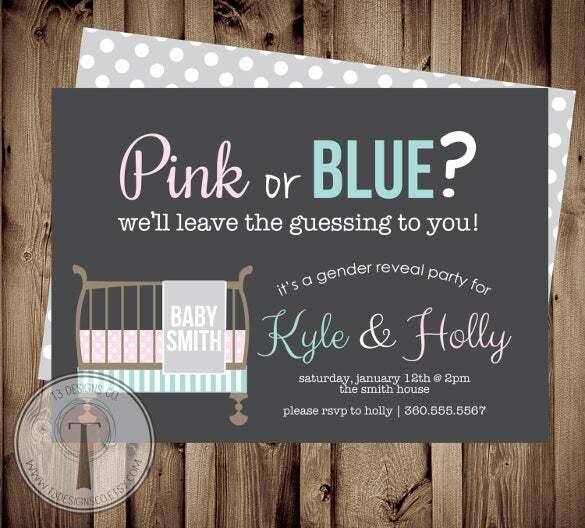 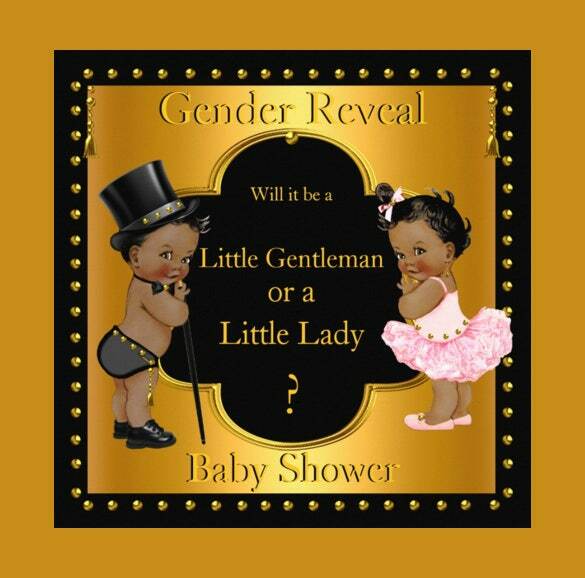 Put the task of designing and creating invitations for your gender reveal party aside, with these great invitation templates. 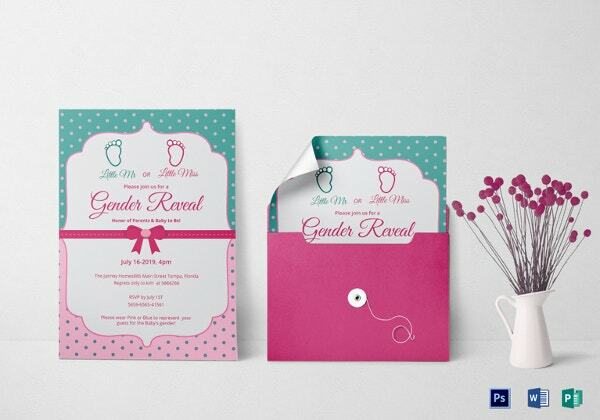 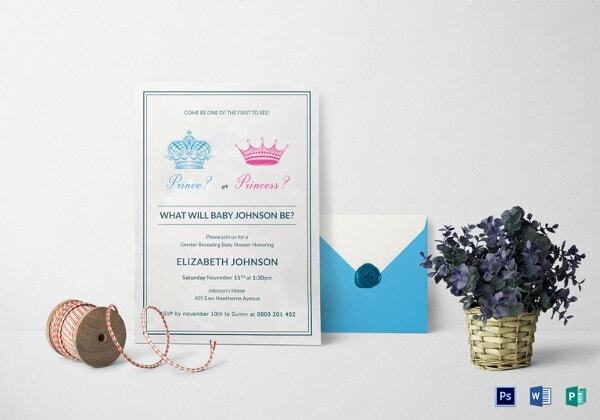 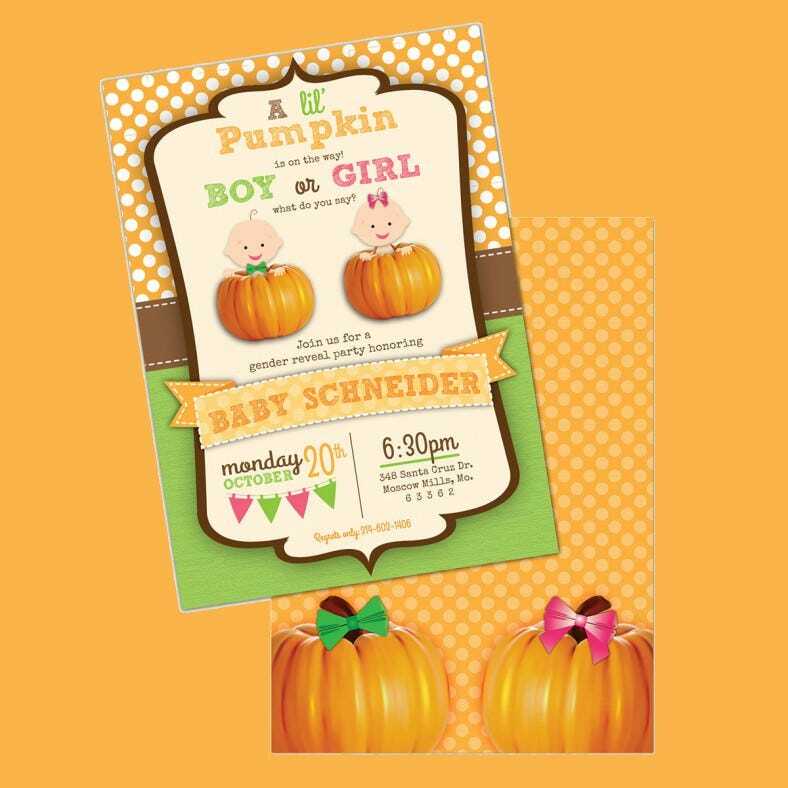 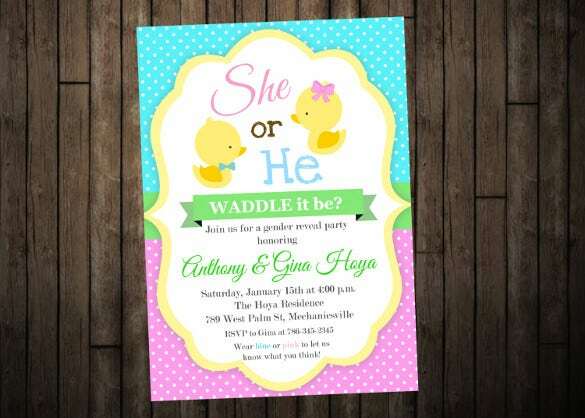 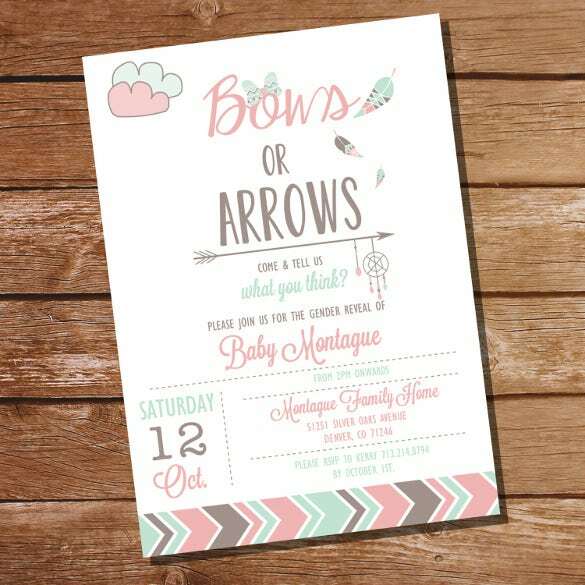 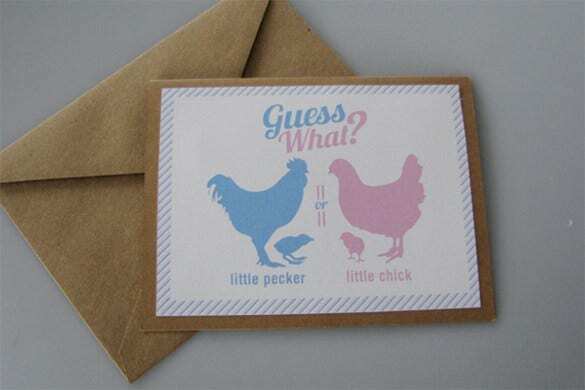 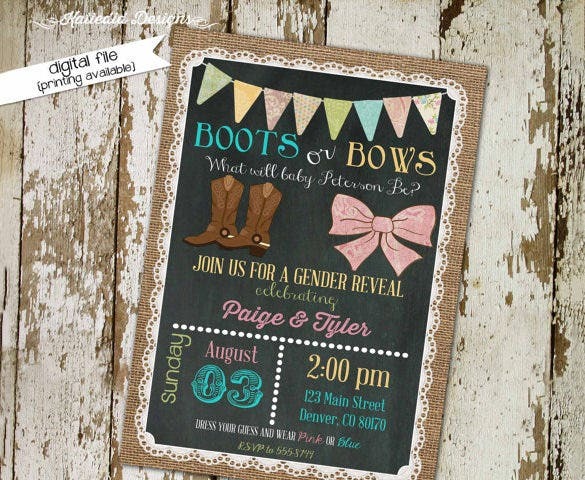 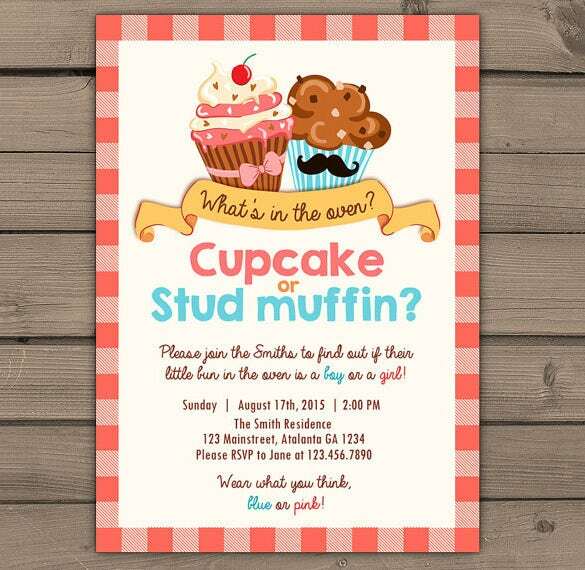 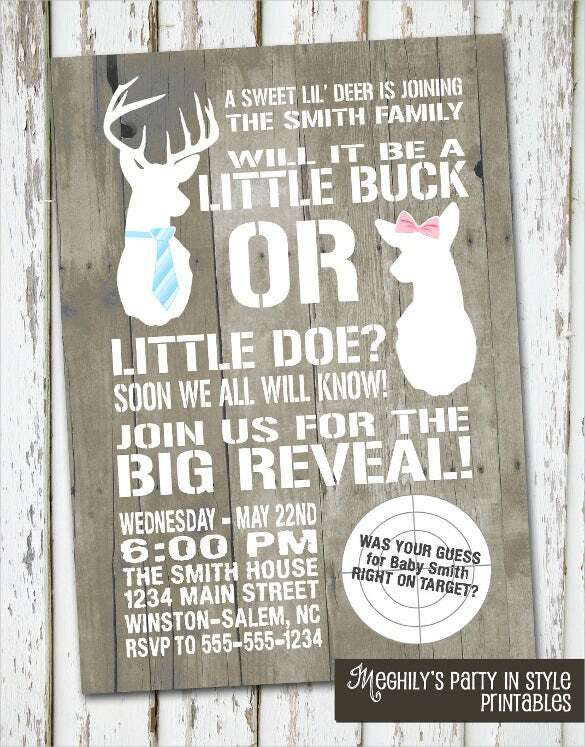 You can also see Baby Shower Invitation Templates. 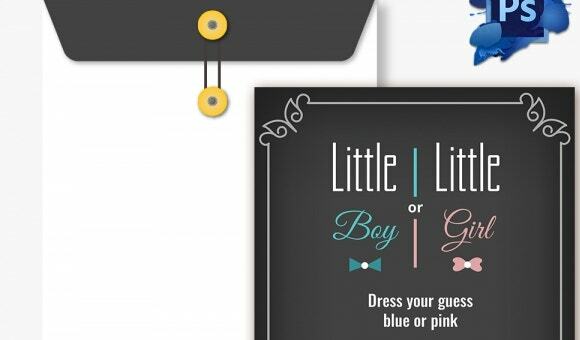 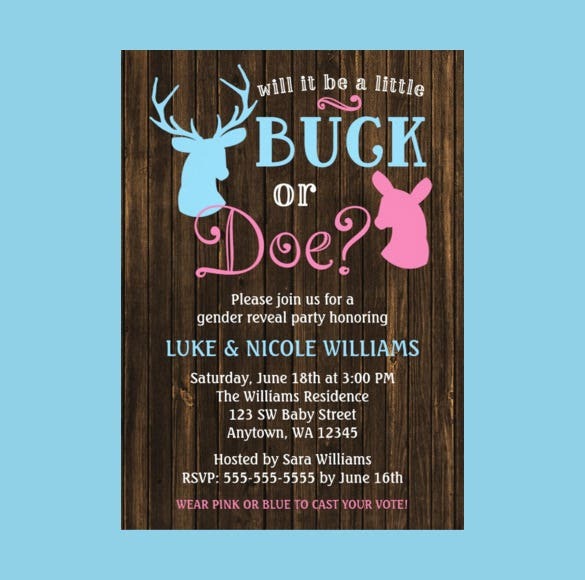 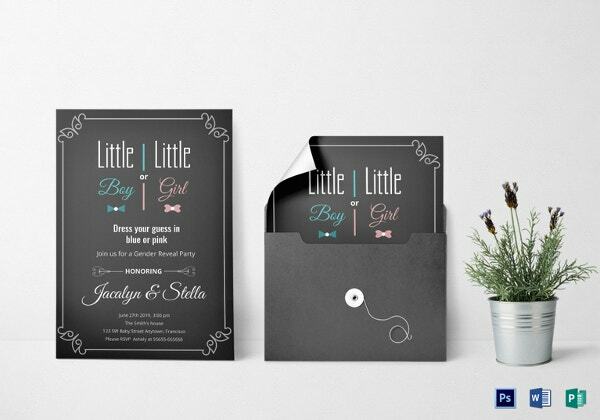 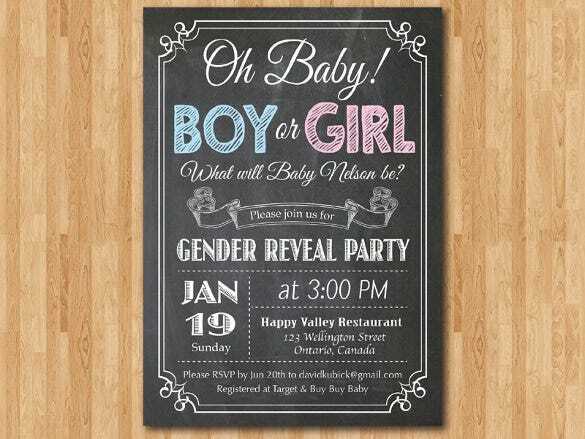 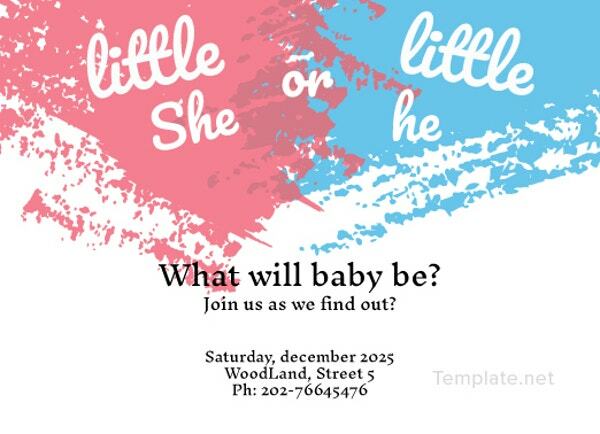 Whatever the occasion is, you can use these templates as long as your baby is the main reason for the occasion.These Invitation Templates are easy to customize gender reveal templates are extremely child friendly and come with and an abundance of cuteness. 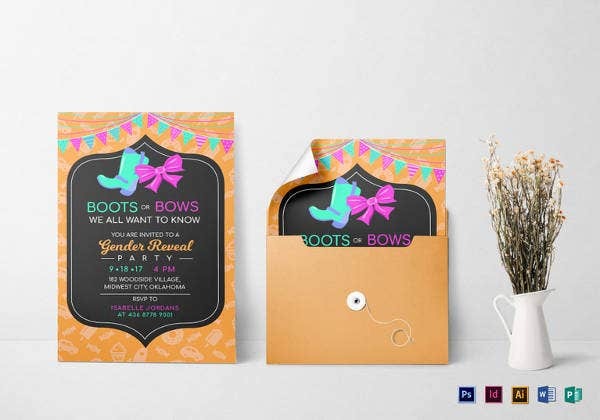 Choose from an array of templates that include backgrounds that are floral, leafy or even feature cute animal shapes.